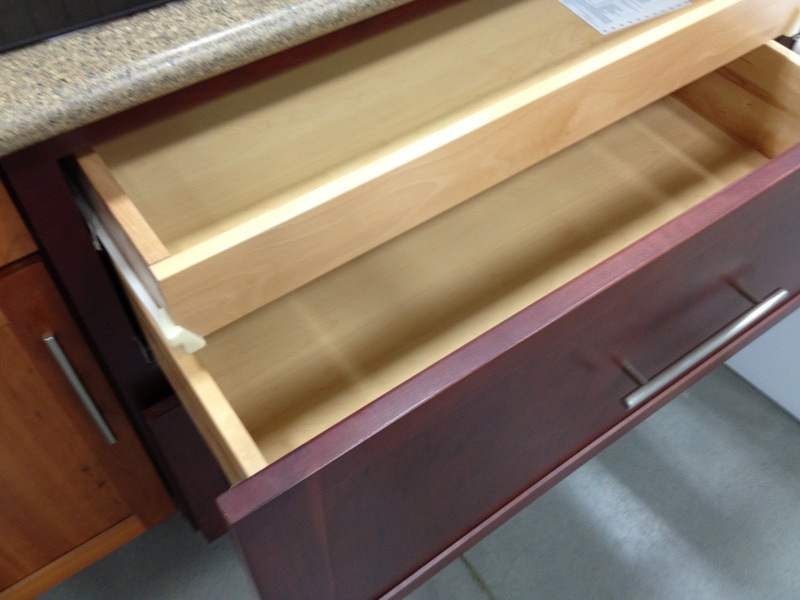 I like this idea – one big drawer under the cooktop, but divided with one narrow shelf for pot lids and a deeper one for pots. Genius! 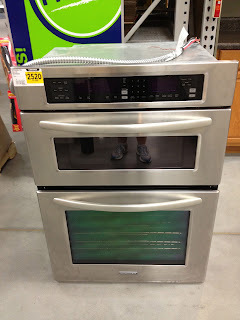 Double ovens! 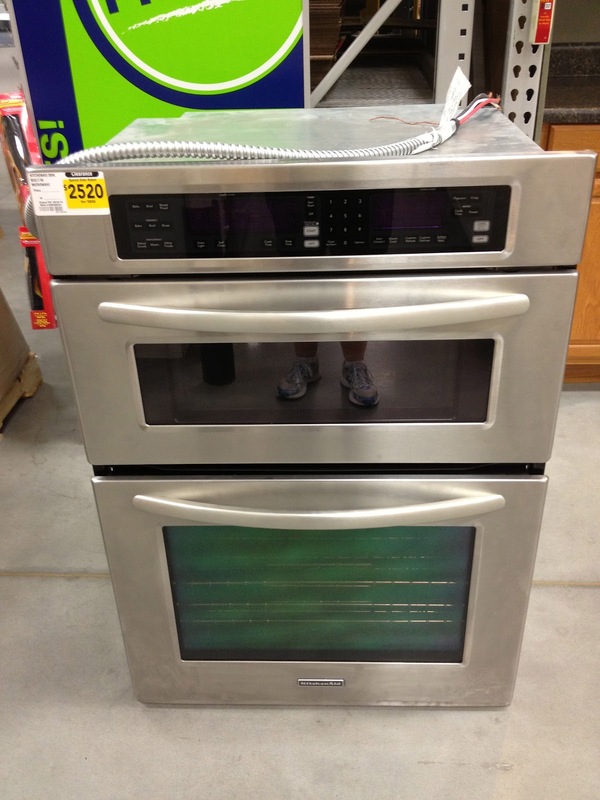 The one on top is a microwave/convection oven. Cookie making will never be the same. Here is the collage I made earlier, with other choices, including tile, cabinets, and pendant lighting. One of the things we’re doing to DRASTICALLY improve our kitchen is the addition of a pantry. This isn’t going to be any old pantry. Oh, no sirree. This is a BIG HONKIN pantry! I’m talking nearly 10 ft by 5 ft. Like, as in, I could just move in there (and, honestly, I might). I have never had a pantry before, so the idea of this kind of storage makes me giddy. To see the finished organized pantry, click here!. Right now, we have dishes and serving pieces and stuff everywhere in our house. We have dishes and some serving pieces in the guest room closet, for goodness’ sake. I cannot wait to take back that closet and move those things into their rightful home in the kitchen, where we might actually use them (gasp!). Even something as simple as being able to find the food we have, without having to empty an entire cabinet, makes me weep with joy. * For example, the other night, my kids wanted spaghetti and meatballs. “Sure!” I said. Of course we have spaghetti. I unload the shelf with the pasta. No spaghetti. I am voted off the island by my kids. A pantry would have solved this problem because I could have seen that we didn’t have any spaghetti. See, a pantry = family harmony! Can’t argue with that. Can’t stand the suspense? See the finished kitchen here!. * Note: When I say things like this, I automatically feel really stupid, because I realize how blessed I am to have the food when so many go hungry. Complaining about where to put it seems sort of petty. That said, I am grateful for the food, and really want to put it in nice labeled canisters so I can actually find it, cook it, and eat it. Hey! This is my first visit. I echo your sentiments! Good luck with the renovation! -Suzanne G.
Thanks, Suzanne! Thank you for checking out the blog. See you bright and early! 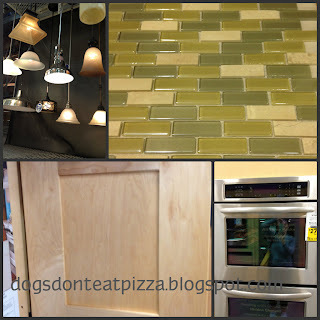 It sounds like your kitchen is going to be amazing! And the pantry sounds amazing! Thank you, Karianne! I can’t wait! Have a great day, too, and stay cool!